These cabins are extremely important in American history. They are original slave cabins. Cabins such as these were used by house servants; field hands slept in wooden cabins near the fields. 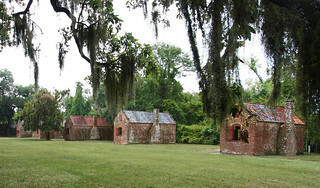 They are located on the grounds of Boone Hall Plantation and Gardens in South Carolina.